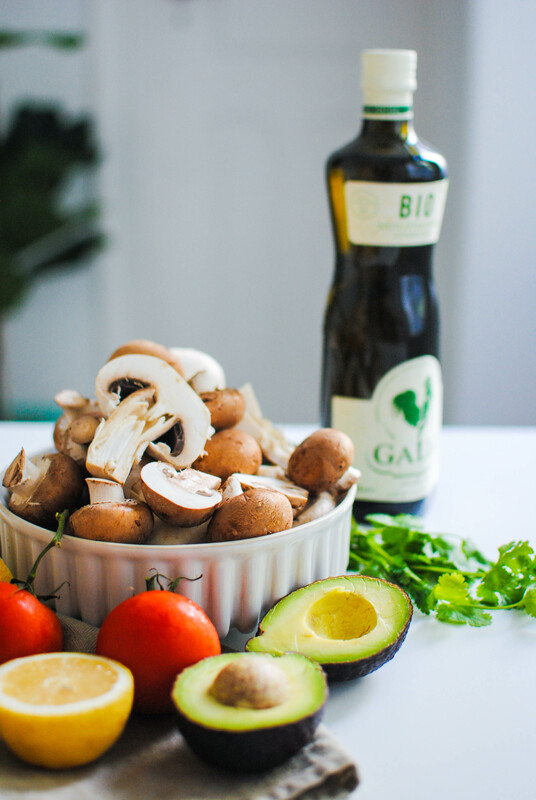 Whenever I make this recipe, most people get confused because I serve them raw mushrooms. “Can you eat them raw?”, “aren’t they dangerous?” are the most common questions. YES, you can eat them raw and no, they are not dangerous. In fact, mushrooms have a compound called agaritine that is broken down by heat but is dissipated as well through refrigerating, drying, or even just storing. So, don’t worry, the mushrooms you get at the supermarket have long been harvested and probably have been sitting in a large refrigerator before they hit the shelves. Even if you handpicked them and ate them raw straight away, we are talking about a minimal concentration of agaritine that doesn’t cause any harm to our bodies, as long as you’re not eating freshly-picked raw mushrooms 24/7, which you probably aren’t. All good and safe? Yes? Great. Let’s continue! This is one of my go-to recipes since I love a tangy, acidic dish that can spike the umami in the mouth. I fear boring foods and that’s why I love adding several depths of flavour to my dishes, it balances them out and makes us crave for more. Same applies to different textures, it makes any dish more interesting and satisfying to eat! The olive oil you use is also important. You want a soft mellow taste, with some acidity in the end, to go well with the other ingredients. For that reason I’ve chosen Gallo Bio, it has a very subtle beginning and the acid tones only come in the end of the tasting. Mushrooms are meaty and absorb well the flavours you add to them, so don’t be afraid to season them! This time, I added tomato for freshness and avocado for some creaminess. This recipe is perfect with some slices of baked sweet potato, sweet potato purée or simply on top of lettuce hearts – it makes a great beach snack! To serve: baked sweet potatoes, lettuce hearts, toasted bread… Or what you fancy! 1. 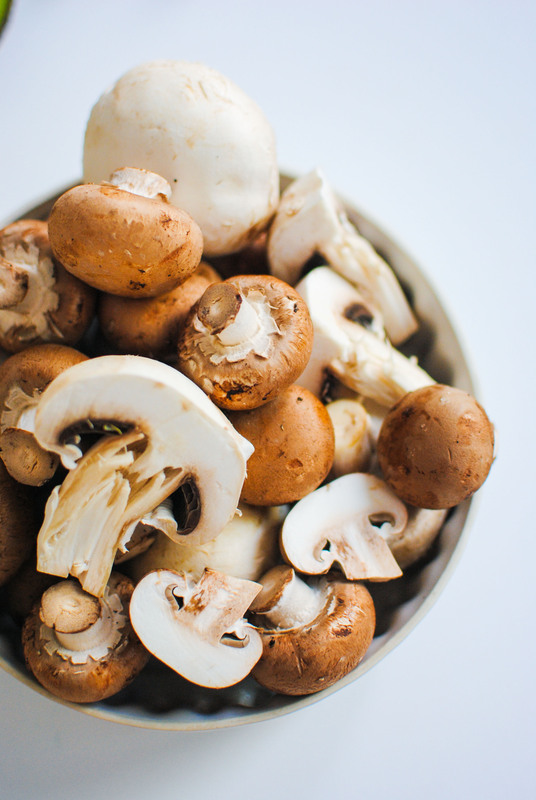 Clean the mushrooms from any dirt with a damp towel or cloth. Don’t wash them (please! ), as it will make them soggy and flavourless. 2. 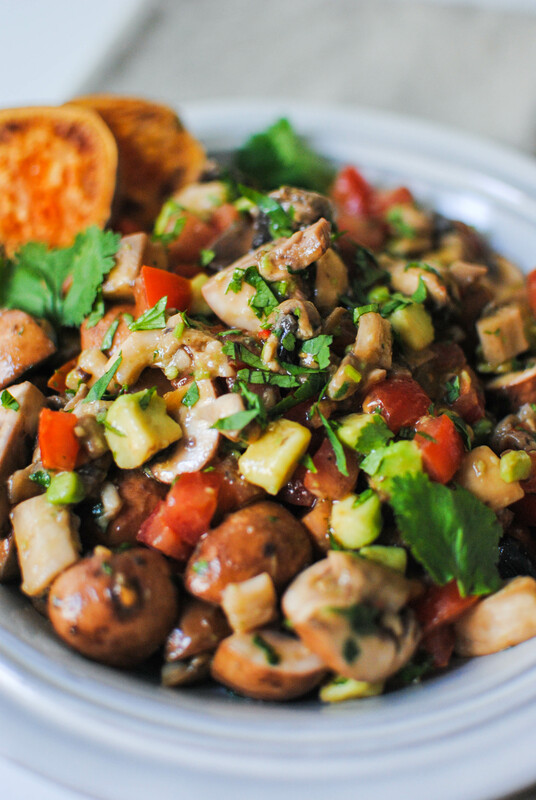 Chop the mushrooms, tomatoes, avocado in small cubes and mince the chili. Put it all in a big bowl. 3. Season with lemon juice, Gallo Bio olive oil, coriander, and salt. Toss well to cover evenly. 4. Let marinate, so the flavours infuse, for around 1 hour. Speed up this process by hand-massaging them so the flavours permeate the mushrooms. 5. Serve this simple ceviche with your favourite sides!